SBICard recently launched a dedicated fuel credit card in association with Bharat Petroleum Corporation Limited and this article is all about it. The features mentioned on the card is kinda bit confusing because of lots of terms and conditions but here we’re to breakdown the numbers. The “13X Reward Points on fuel purchases at BPCL” simply means 13 Points and as the value of each point is Rs. 0.25, effective value out of 13X points = 3.25%. Now lets say you fuel for Rs.1000 and see how much you save. So, in simple words, you can save Rs.955 per month if you spend 25k(may differ if you cross this limit) exactly ON FUEL but the effective savings maybe lot more if you’re currently using a credit/debit card that charges you surcharge. Apart from the above, you can also get 5X points by spending on certain categories, which will save you 1.25% (5X points) which is OKAY if you don’t have cards like SBI Prime (review here) which has wonderful reward rate on many categories. Important Note: If you note the first point, the above savings wont work if you fuel BIKES, which is usually in Rs.500 range. Hence, holds good for car fuel spends between Rs.1000 to Rs.4000. The limits above in place to avoid charges by commercial vehicle users. Ideally, this is an acceptable limit for the card as its primarily positioned for beginners with BPCL spends. Its good to see banks come up with dedicated Fuel cards but i wish it could be made even more simple. For example, i always prefer to use Amex cards at HPCL pumps so i get NO surcharge at all – peace of mind. What’s your take on the new SBI BPCL partnership? Feel free to share your thoughts in comments below. Still icici amex hpcl gives 4% value and citi indianoil gives more than 2.5% values apart from the surcharge saving. I think these are the best out there. Yes it is. Its quite a basic card and we should take it as “something is better than nothing”. I can’t redeem my SBI BPCL credit card point at petrol pumps.can you provide the list of petrol pump in Delhi where one redeem that points. Icici gives 4% after surcharge. Ans citi 2.6% after surcharge. StanChart’s Super Value Titanium is the best fuel card. You can use it at any fuel station. Spend Rs. 75,000 every year and the fee will be reversed. I am saving Rs. 200 every month which accounts for Rs. 2400 in a year. 4% sc cash back, 1% surcharge reversal and 0.75% cashback from government. A total of 5.75% cashback. Plus there is no charge for transferring the cashback in your cc account. Maximum surcharge waiver is 100 rupees per month.. waste. But from this onwards they are not reversing Annual fees against my spends more than a lac rupees per annum. There customer care people are also very pathetic having no authority or eagerness to retain old and loyal customers. My fuel spends are approx 30k a month…I have Infinia, SBI Elite and Citi Premier miles. Which card is the best to use for fuel? I believe all of 3 cards hv surcharge waiver and no reward points on fuel? I switched to wallets for my fuel spends where I get 5% or 10% returns depending on the offer. Citi-IOCL, Amex-HPCL partnerships already in place, BPCL was left out and SBI roped them in now. A good competition in place but I feel wallets are more rewarding than any of the fuel cards. True that! It works as long as banks keep rewarding Wallet txn’s. I have a different strategy for fuels. Pay using Mobikwik (or Paytm if Mobikwik not available) and load them with that credit card which gives you the highest yield (in my case Amex Plat Travel Card). On Mobikwik effective savings for fuelling upto Rs 10K per month could easily be around 4-5%, no surcharge and around 7% yield on Amex PT. That’s a nice idea which i think you’ve shared before too. But in my case, no wallets are being accepted in my location. P.S. I’ll add this point as an option in best fuel cards list shortly. Thanks. The SBI website mentions 4.25% value back. which would be 3.25% + 1%. So i think that would mean 325 saved on ever 10k spent on fuel. Its false marketing. Pls go through the article, Its in-fact 3.82% value back! Amrit is right, the fuel surcharge is 1%. I have this card (offered when my 10 Year old Gold & More was up for renewal), for a fuel transaction of Rs.2400, the card was charged Rs.2428.32 (surcharge of Rs.24 @ 1% and GST of Rs.4.32 @18% on Rs.24). Surcharge of Rs.24 was credited back and so was the 0.75% GOI cash back of Rs.18. The reward points credited were 312 and that’s equivalent to Rs.78. So, for a Rs.2400 transaction the value back is indeed 4.25%, i.e Rs.102 (Rs.78 worth reward points and Rs.24 as surcharge reversal). If we factor the GOI cashback of 0.75% the value back is 5% for now.So, their marketing isn’t false. Thanks for sharing your experience on this Rajesh. I just figured out the surcharge has gone down to 1% from 2.5% earlier. Not sure if its same case with all banks. That being said, i’ve redone the calculation and updated the article accordingly. I’ve assumed GST is not refunded. Yup, GST isnt refunded. Cheers! Hello Siddharth, first I’d like to thank you for keeping such an excellent blog. This is where I got my basics of credit cards and started building my creditworthiness. I got this SBI BPCL card last month and have been using this since. It is my second card, with the other one being a 9 months old HDFC Times Titanium card. I got the SBI card seeing the 13X rewards on fuel spends (I am a motorcyclist and spend a lot on fuel), but after reading your article I have decided to upgrade the card to Prime or SimplyCLICK variant as soon as I can. I’d like some suggestions on the HDFC side of things as the 25% off on movie tickets isn’t much use to me and the Times Cards are of the lowers value group in the redemption catalog. I would like to change that card to something else in the HDFC range (wanna keep something from HDFC as it is my second oldest line of credit). I mostly spend on fuel, shopping, dining, and hotels (not star hotels as I travel to remote regions more often), but not so much on air tickets and stuff. Does it make sense to look at a Diners Club card? My current limit on the Times Titanium is only 65K and my take home salary is around 40k a month. I expect HDFC to improve the limit as there is a good amount of usage on that account (always paid in full), with around 4 EMIs that were all paid without a single default. DO you think the Diners Club Premium is a good fit? I also have an ICICI Coral Debit card with 2 domestic lounge access every quarter. I’m open to suggestions as to how I should progress with the cards. Is there any minimum transaction value requirement for this? No, there is no min. limit. But there is a max limit, which is good enough though. We spend around 7000/ month for petroleum ,is this card worth for me or should I choose other card. Which one would you suggest? Thanks Siddharth for such a nice review. Could you please explain in case of spending Rs.1000 on Non BPCL Pump how much waiver/ cashback we get. I think this is better than other fuel cards. I maybe wrong. Other cards have precondition that the swipe machine should be of same bank. Got another targeted offer. This time from SBI. Says “Use your card no. ending xxxx 6 times for min trxn 1000 from 12 July to 31 Jul 18 and get free Flipkart voucher worth Rs. 1000/-, not valid on cash & fuel. 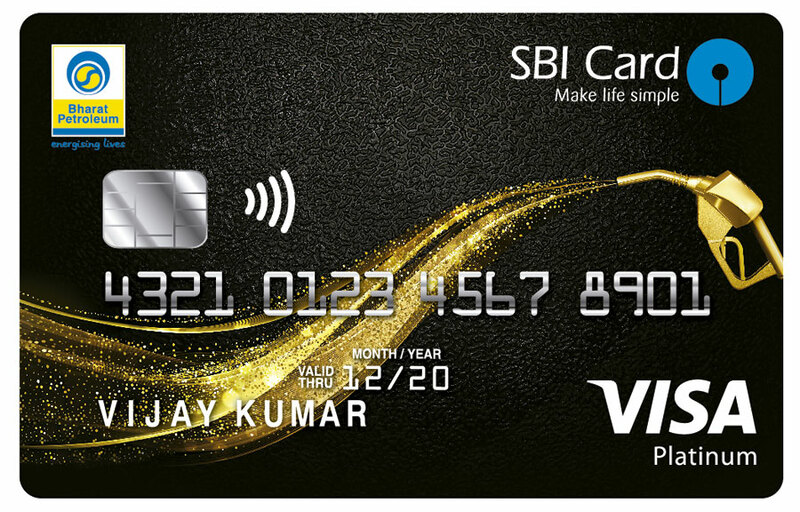 The SBI card provides rewards points worth Rs. 0.25 each. Can we redeem them as cash into the credit card account? Like say we have 5000 points which is Rs. 1250, can this be adjusted into the account? I have this card and have been using it for fuel purchases, though the rewards rate for fuel is one of the best in the industry however the rewards cannot be used for fuel redemption. Out of the 3 things I sometimes do not get credited with all 3 of them or sometimes for two of them. Credit of rewards points is also not guaranteed and they only get credited when I mail the customer care. It is very difficult to keep track of all the transactions and whether or not there benefits have been credited. Very poor experience and greatly disappointed. Same issues being faced with me. Even an e-mail to customer care wont help, one have to call (multiple times) for every single transaction – which is practically infeasible. Worst experience and deeply disappointed is an understatement. Will switch to wallets for fuel and will put this card on a freezer mode. Did you get a reply from nodal officer on this? Even I am also experiencing the same issue. If your filling the fuel in IOCL petrol pumps then citi bank Card is good u will get .75% has cash back and reward rate is also good. Also you can redeem the points for filling ur fuel 1point = ₹1. Which goes a good value and spending 30K ur annual fees is waived off. So by just using this card for free u get good reward rate. Please review ICICI HPCL coral AMEX credit card if possible. Other than cashback on fuel they are offering 2 lounge visits per year. Considering such a low annual fee the card is total value for money. Plus what is the way for a reader to get a review published? I wish to review few of my credit cards which are not reviewed here. I had the same card for low fee and lounge access. BPCL SBI CARD is useless.Cardholder has to call customer care service to get 13x rewards for every transaction or send mail for each transaction.Same for the cash back also. I give 0 star in 1-5 star RATINGS.I struggle for rewards and cash back. On the sbi page, it says maximum limit of 10000 per month? Is it on the savings using value back? I am using this card for last 4 to 5 months. I use it to fill petrol in my bike at BPCL petrol (Godrej BPCL petrol pump, LBS Marg, Vikhroli, Mumbai 400079). I fill petrol worth Rs 200 every week or twice a week. The amount that I pay at the petrol pump by card is Rs 200. Even I get message of that much amount being cut, but as per credit card statement the its always Rs 212.58 that gets deducted from the card. That’s not a fraud it’s your surcharge which is been charged. I am a fleet owner ( Transporter ) i have consumption of diesel of 25 Lakh per month. Can i use this card for above consumption. Using your card more than ₹4000 per swipe wil have surcharges added to it, you wil end up paying an higher surcharge by using it for 25 lac and having a higher credit limit on this card would also not be possible. Highest surcharge waiver card is Citibank IOCL Card wherein you can swipe upto ₹10,000 without any charges subjected to condition you swipe only at IOCPL pumps. The Surcharge waiver is now changed to Rs 100 pm. Pl change that. REWARDS POINTS ARE NOT CREDITED AS PROMISED . ALMOST 50% OF PUMPS ARE NOT COVERED IN THE LIST OF PUMPS WHERE REWARDS POINTS ARE CREDITED AFTER FUEL PURCHASE. OVERALL NOT GOOD CARD AS COMPANY GENUINELY DO NOT GIVE BENEFITS AS PER COMMITMENT IN CARD DOCUMENT. Can you please explain how this SBI card compares vs HDFC Bharat Card . The HDFC card claims 5% cashback on fuel. Does it end up giving more back vs the SBI card ? HDFC doesn’t give this 5% cashback unless you ask (most of the time). Not worth exploring. I am using this card. 1) Don’t get this card. They shortchange the points you earned. You have to contact customer service to give them to you. 2) Redeeming the points for fuel at BPCL outlets is a pain. I live in Pune and still haven’t found a pump where it has been easy to redeem, without the manager’s help. 3) StanC SVT is the best card for fuel cashback but it has weird conditions, like only if you fill above 750, you would get 5% cashback. And that is actually 4% + 1% surcharge. I fill fuel worth 2k twice in a calendar month and am able to get the 200 Rs back (80 as cashback and 20 as surcharge waiver, twice).